Money can be tight and it always seems like things are going up in price, which includes groceries. If you are feeling the pinch, then you can ease the burden by entering to win of these grocery vouchers. With this R1500 voucher, you can choose to shop for all your groceries and daily essentials at either Pick n Pay or Checkers and make sure you get everything that you need. The competition closes 28th February and entering is easy, just Click Here. 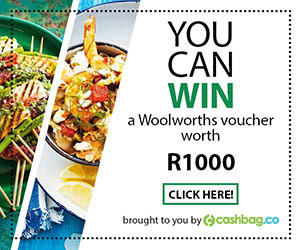 Woolworths have some great foodie treats and you could get those extra goodies when you enter for a chance to win this R1000 Woolworths voucher. Treat yourself to some food luxuries. The competition closes on the 31st March and to enter you just need to Click Here. Spar is a much-loved store that has everything you need. They offer fresh produce, freshly baked goods, your daily essentials and more. You could get a few things you need from Spar with this R500 voucher. The competition closes on the 30th April and to enter, just Click Here. You have a chance to get some of your groceries for free when you enter for a chance to win one these grocery vouchers, so what you waiting for…start entering.